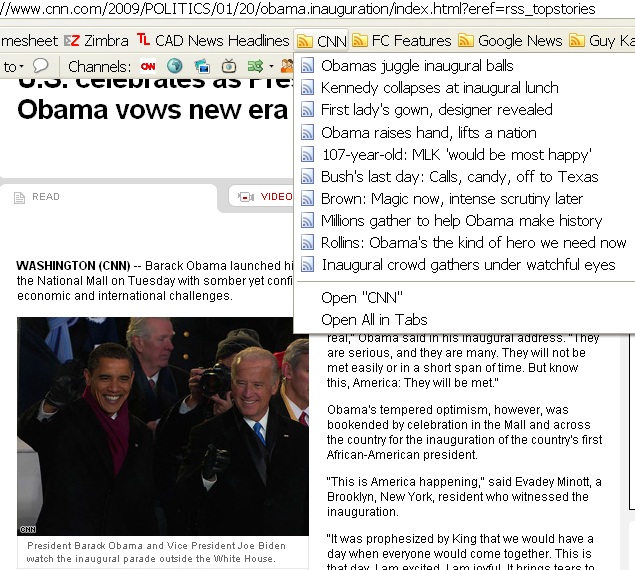 After seeing this headline, Obamas juggle inaugral balls, in my RSS tab for CNN.com, it made me think about headlines of articles I've read via via RSS recently that I can remember as having interesting titles. Hats off to Fast Company. I remembered four FC articles with interesting titles in particular. Also, 37Signals got in on the action. The five I recalled were articles I've read in the past day, all via RSS.